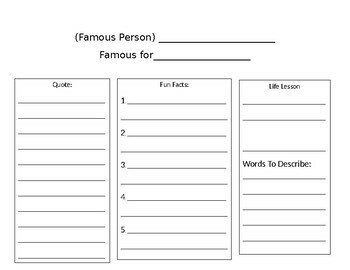 This is a graphic organizer to help your students when they are doing a research or biography project. It is in Word so you can adjust it to meet your students needs or your topic of research. 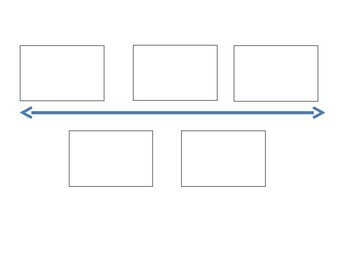 If you print it double-sided, flip on the short edge, there is a timeline on the back.